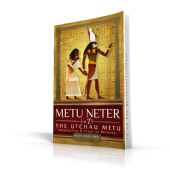 Nuk Au Neter is the first correct translation, explanation and interpretation of the so-called Egyptian Book Of The Dead or Pert Em Hru or so-called Coming Forth By Day. 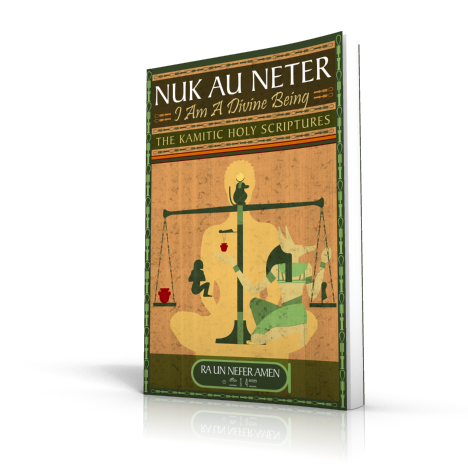 Nuk Au Neter is the most celebrated Ancient Egyptian Holy Scripture that affirms Man's direction and explains the way to its Realization. In the same manner that the Jews have their Bible, the Christians theirs, the Muslims their Quran, the Hindus their Vedas and Bhagavad Gita, and so on, so did the Africans -- the ancient Egyptians -- have their Holy Scriptures. They read and studied them daily to strengthen their spiritual and moral life, which resulted in the optimization of their intellect and genius that culminated in the building of the oldest and one of the greatest civilizations in the world. That Kamit (ancient Egypt) produced Holy Scriptures has been concealed from the world by one of the greatest disinformation campaigns waged by Egyptologists. The theme and contents of the greatest of the Kamitic Scriptures dealt with man's divinity and gave the outline of the teachings and methods that can be used for the realization of the divine potential in man. 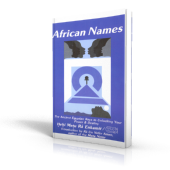 I have thus, appropriately entitled the Kamitic Holy Scriptures, Nuk au Neter; I am a divine being (a god man/woman) to replace the misleading inventions that entitled this book as Book of the Dead, Pert em Hru (Coming Forth by Day) by which it is popularly known. We are living at a time that is witnessing a great interest in Kamitic spirituality. A great number of people are turning to it with the hopes of finding the spiritual nourishment that they have not been able to get from other sources. In this presentation of the most important book to have come out of ancient Egypt, you will find a Holy Scripture that will provide the sought for nourishment. Read it daily, analyze its content and make its lofty teachings the subject of your daily meditations and self contemplation.